Shane Ventanilla, an 8-week-old Asian boy, was fatally stabbed Tuesday, Sept. 13, in the 1500 block of Park Avenue in Long Beach, according to the Los Angeles County coroner’s office. The boy’s father found Shane and his mother, Charlene Ventanilla, with multiple stab wounds and alerted authorities about 6:30 a.m., said Marlene Arrona, a spokeswoman for the Long Beach Police Department. When officers arrived, the mother and young child were unconscious and not breathing, police said. Both were pronounced dead at 6:45 a.m., according to coroner's records. Officers later determined that Charlene Ventanilla, 36, killed her child before taking her own life, according to a police statement. Police are investigating what triggered the killing, Arrona said. Anyone with information is asked to call (562) 570-7244. Those wishing to remain anonymous should call Crime Stoppers at (800) 222-8477. Verwyn Jirel Santos, a Asian male, died Wednesday, Sept. 18, after sustaining blunt force trauma. Baby Bao, a fetus, died Sunday, Feb. 5, in the 1000 block of South Ynez Avenue in Monterey Park, according to Los Angeles County coroner's records. Monterey Park police and fire officials responded to a report of a death about 7 a.m. When they arrived, they found the body of Chenyan Bao, a 39-year-old Asian woman, in the home she shared with her husband and child. At the time of the incident, Bao was about 3 months pregnant. The fetus has been identified as Baby Bao, said Ed Winter, spokesman for the coroner's office. Police reported Chenyan Bao died from injuries sustained in an incident of domestic violence, said L.A. County Sheriff's Deputy Aura Lidman. According to coroner's records, she was smothered and died from asphyxia. Her husband, Hongxin Liu, was arrested in connection with her death. Posted Dec. 9, 2009, 3:10 p.m. The unborn child of Eun Kang, a 38-year old Korean female, was one of two fetuses killed when Kang was raped and stabbed to death Tuesday, Dec. 8 in the 1600 block of Electric Avenue in Venice, authorities said. One was a boy, the gender of the other was not listed in coroner's records. Kang was pronounced dead at 11:15 p.m., and the unborn child listed as a boy was pronounced dead three minutes later. Kang was four months pregnant at the time of her death, authorities said. 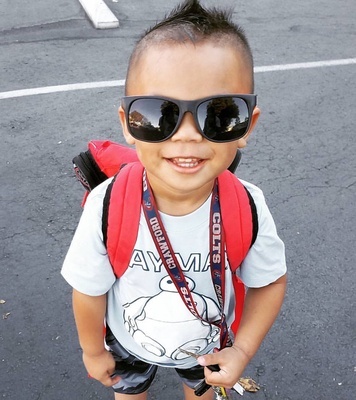 Posted Aug. 8, 2007, 8 a.m.
Ian Williams, 3, was killed in the same triple homicide as his father Neal Williams, 27, a white man, and brother Devon, 7, in the 18000 block of Camino Bello in Rowland Heights. Their bodies were found at about 8 a.m. Wednesday, Aug. 8. Williams died from multiple stab wounds. The boys were reported to have been suffocated. Williams' wife, Man-Ling Williams, 27, the mother of both children, was arrested. Stella Aspiras, a Asian female, died Thursday, Oct. 13, after being stabbed in Los Feliz, according to Los Angeles County coroner's records. Tony Kim, a Asian male, died Saturday, Sept. 3, after sustaining blunt force trauma. Kathe Manaig, a 3-year-old Asian female, died Wednesday, Jan. 12, in Glendale, according to Los Angeles County coroner's records. Michelle Lew, a 1-year-old Asian female, died Saturday, Oct. 4. Megan Lee, a Asian female, died Thursday, Sept. 18, in Silver Lake, according to Los Angeles County coroner's records. Charles-Joshua Burgarin Legarda, a Asian male, died Monday, Aug. 11, after being strangled in North Hills, according to Los Angeles County coroner's records. 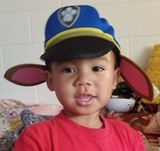 Hyun Woo Song, a 2-year-old Asian male, died Monday, May 5, after being shot in Mid-Wilshire, according to Los Angeles County coroner's records.